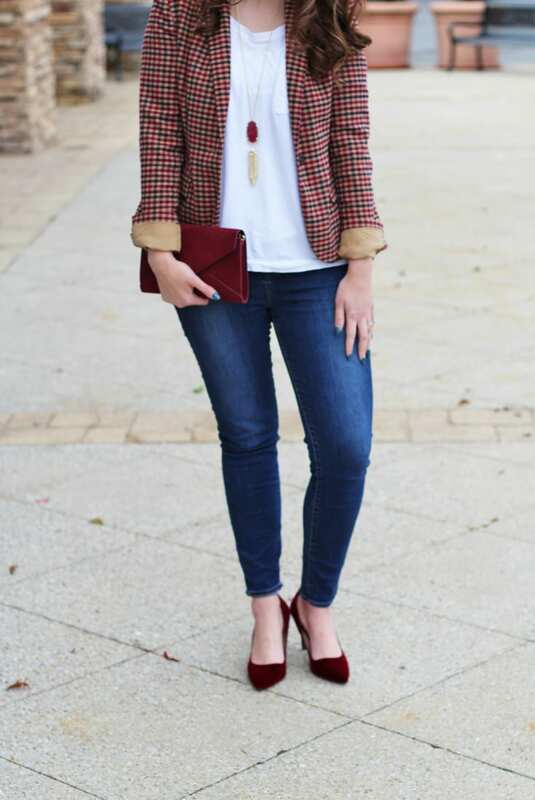 This outfit combines all of my favorite things right now–plaid, navy, burgundy, oversized tees, and velvet! 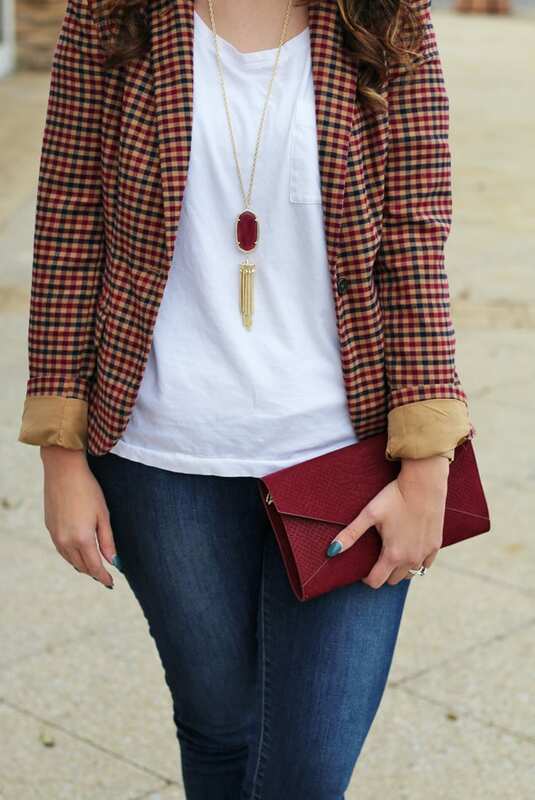 And I love this plaid blazer! 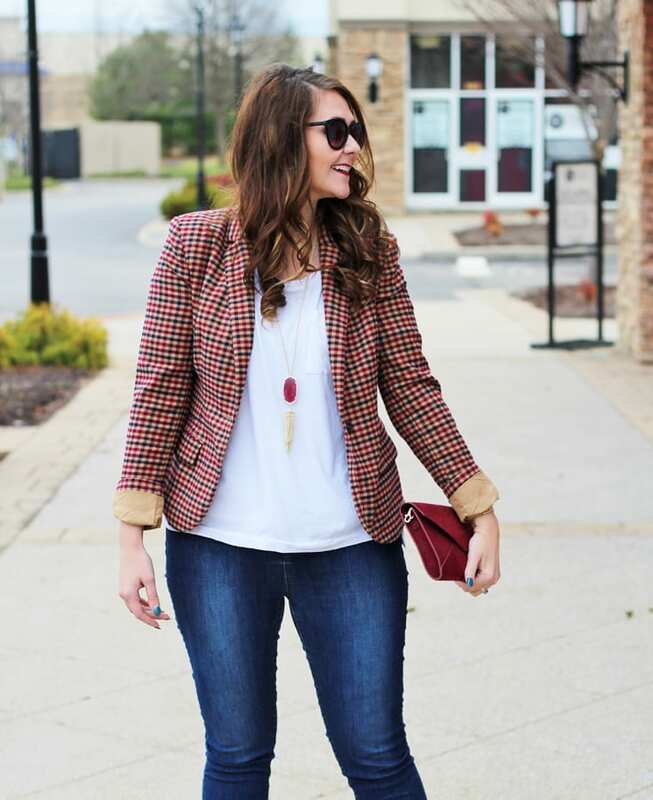 I had first spotted this blazer at Target last fall. It finally found it’s way to the clearance rack recently, and I pounced on it. 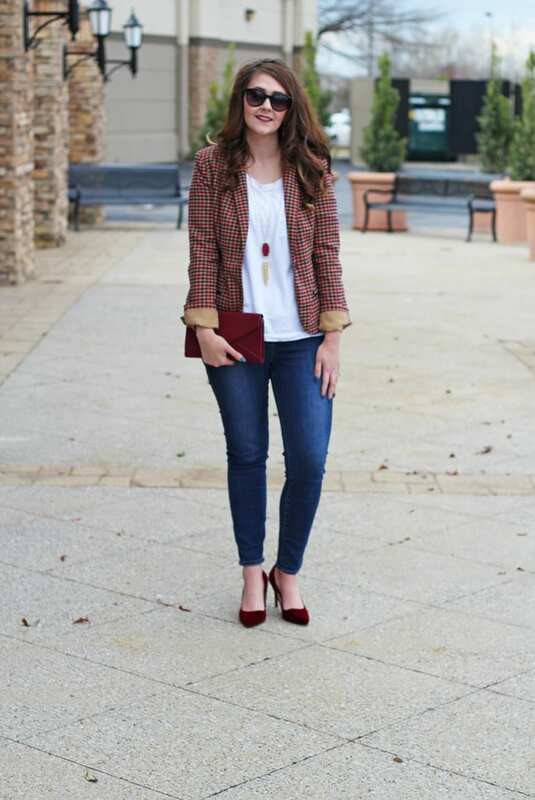 Blazer: Target–on clearance (almost identical) // Tee: Old Navy–under $20 // Jeans: J. 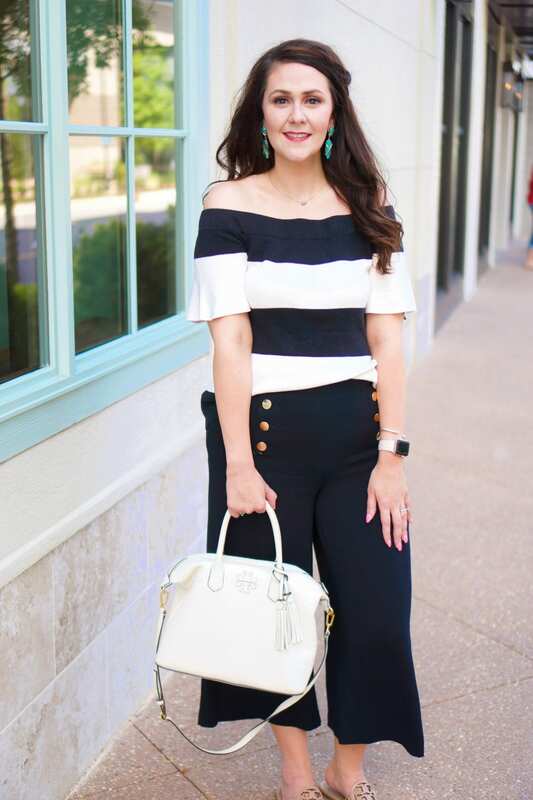 Crew Factory–$39.50 // Heels: Target— under $40 + comes in two colors! As an attorney, I have quite a few blazers in my closet. And that’s where they stayed, unless I had a meeting to go to. 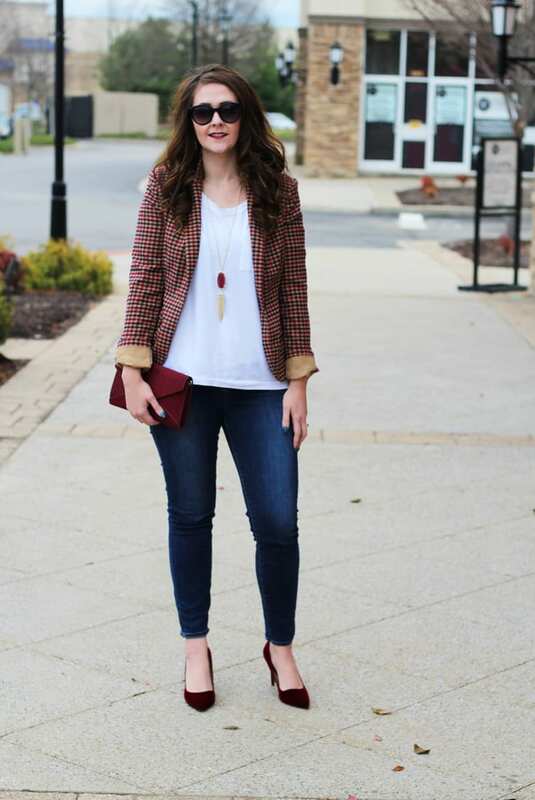 Here lately, though, I’ve really enjoyed putting a casual spin on blazers and pairing them with jeans. 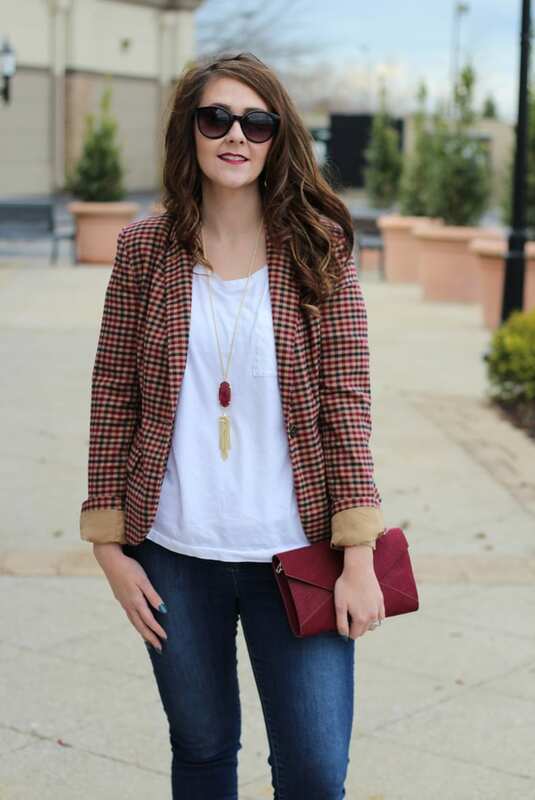 My favorite way to instantly make a blazer more casual is to flip up the sleeves one turn. 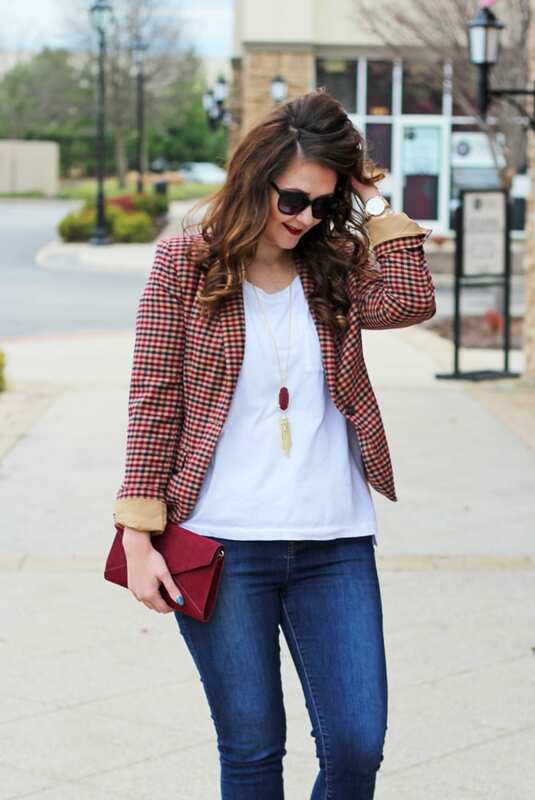 This plaid blazer has more of a relaxed feel to it anyways, so I also added an oversized boyfriend tee. 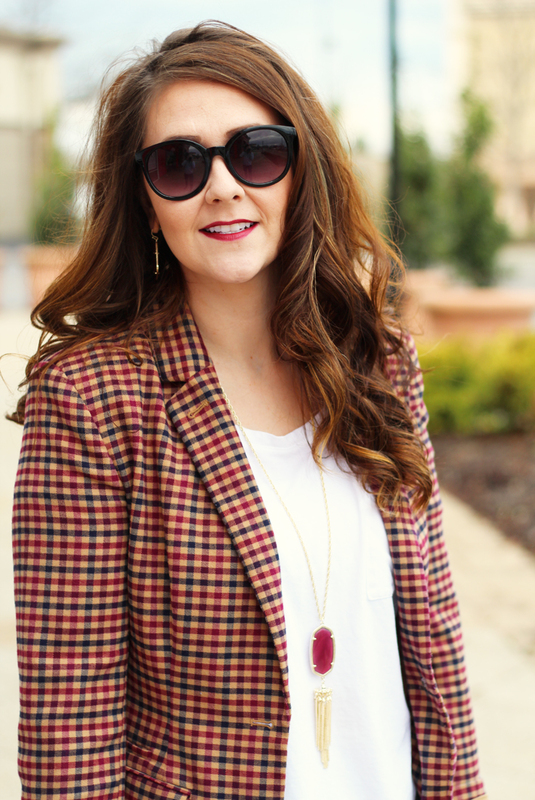 Since the white tee is such a contrast to the plaid blazer, I tossed on my Kendra Scott burgundy illusion necklace and earrings to pull together the color scheme. 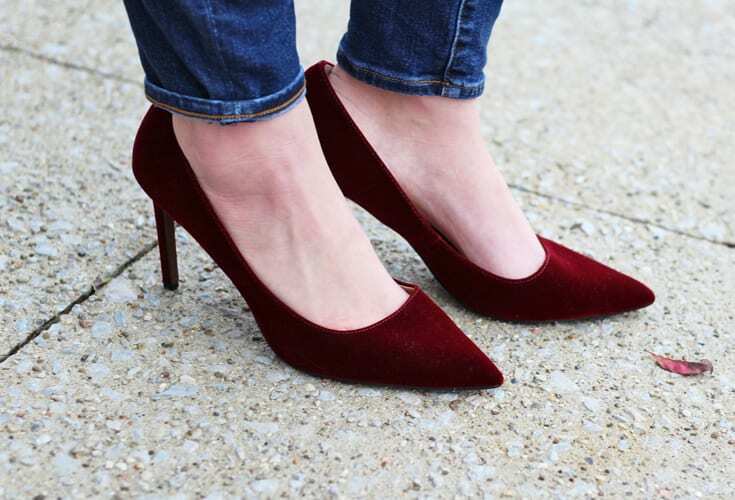 And of course I added my new favorite velvet heels. 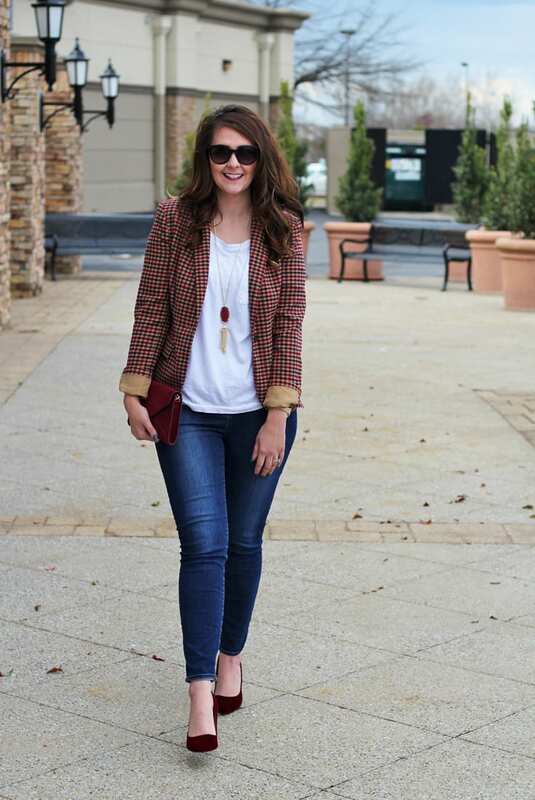 Do you ever pull a blazer out for a casual look?